Born and raised in Cypress, Texas, just 25 minutes northwest of Houston, Scott Ferguson holds a degree in Agricultural Economics from Texas A&M University. 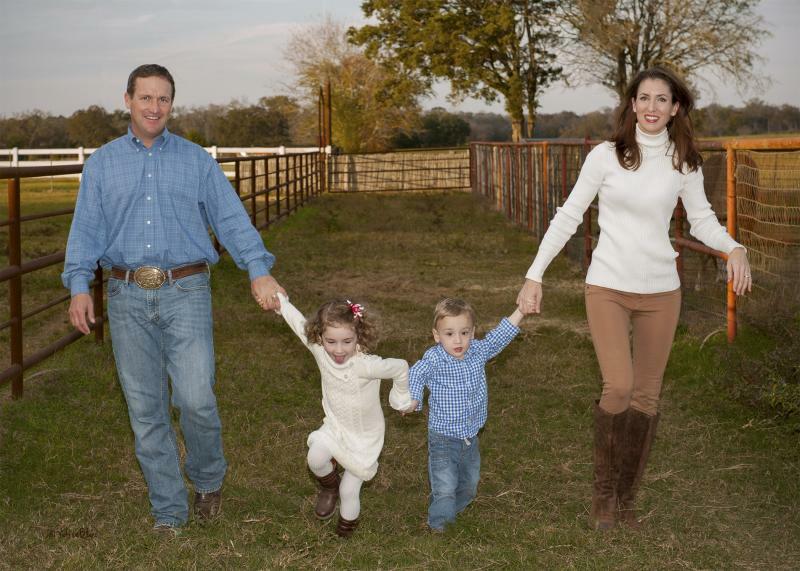 After graduation, Scott spent several years in commercial real estate in Houston before returning to his agricultural roots. Scott has lived in Hempstead, Texas for the last 20 years where he operates his successful cutting horse operation. Scott is a lifetime member of the National Cutting Horse Association, the American Quarter Horse Association, and the Houston Livestock Show & Rodeo. He is also an NCHA Director for Area 10 in South Texas. Scott's wife, Sarah, graduated from St. John's School in Houston and holds a degree in journalism from the University of Texas at Austin. In addition to managing their business office, Sarah is a marketing & communications manager for a global consulting firm. They have two small children who are turning into strong little cutters! With extensive competition experience, Scott understands the needs of every customer – from the aged-event competitor to the weekend competition enthusiast. Taking the time to know his customers and understand his clients’ cutting goals keeps Scott connected with his clientele. Cutting is a family sport. We cater to all skill levels and all ages. Whether you're just learning to cut or you're an experienced competitor, our training program can fulfill your cutting horse competition needs. Give us a call to discuss what interests you. Copyright 2014 Scott Ferguson Cutting Horses. All rights reserved.